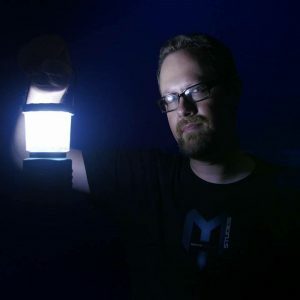 FRESNO — Local filmmaker and co-owner of The Met Cinema, Matt Sconce, is getting ready for the premiere of his latest movie, a haunting horror picture, Altar. The red carpet will unfurl on Saturday, May 13 at the Crest Theater, starting at 5:30 p.m. 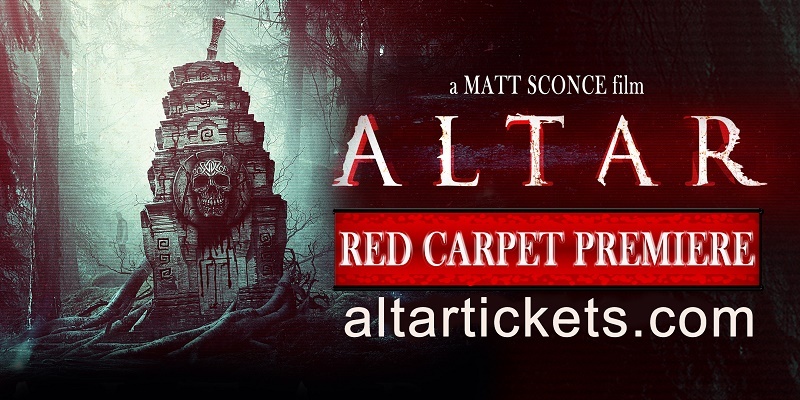 Altar has won 21 awards over its festival run, and this marks Matt’s seventh feature film. 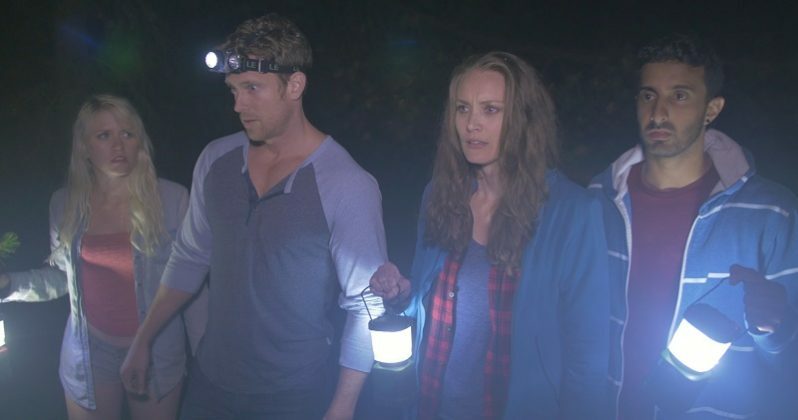 Altar was filmed locally, and those who live or play in the foothills will recognize landmarks in Oakhurst, Bass Lake, up Beasore Road, and at Tenaya Lodge. During the course of filming, the cast and crew encountered wildlife including a mountain lion, a pack of coyotes, a bear and a bobcat who tried to make a meal out of the film’s small dog. Matt explains some of the natural phenomenon by saying, simply, it’s a strange movie. 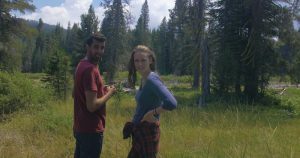 Altar is about a group of former college classmates who get lost while driving to a reunion camp out in the Sierra Nevada mountains. “After stopping for the night, they stumble onto something much darker. They must battle to escape the evil they unleashed to not only save their own lives but their souls as well,” says promo material. Deep Rai and Stefanie Estes play Ravi and Maisy, respectively, in Altar, premiering May 13 in Fresno. The very first night of production, the crew was camped out way up Beasore Road at about 7,000-feet elevation, working on private property near Jones Store. “The filming was different because our actors were having to remain in character for almost the entire time. The script was based on a really tight outline and they had to improv between outline points and that is how the story was filmed,” the director says. The tuckered-out crew reached their vehicles and were surprised to see a little baby fawn illuminated by flashlight. The crew slept in tents without additional protection from the elements or animals. Along the way, through just seven days of filming in 2015, the location was paced by a big bear, and a pack of coyotes ran through the production camp. A cow even ate Matt’s trademark straw hat, “like a big giant cookie,” he laughs. Perhaps most frighteningly, a bobcat tried to cut its way into a tent in an unsuccessful attempt to get at their little Pekingese pupper named Sushi, who plays Pickles in the movie. In the end, they had no choice but to consider these incidents all part of an auspicious greeting from the four-legged mountain population. Before they ever started filming, Matt says they had about 1,000 actors submit resumes and photos for just six roles. They narrowed that down to 50 in Los Angeles at Space Station Casting. “We looked for improv people, to see how their skills were, and how they took direction,” says Matt. Lead actor Deep Rai had already been cast, and potential cast mates read with him in most cases. Jesse Parr was up for the part of a younger brother with Asperger’s syndrome. Jesse lives in Fresno but Matt asked him to travel to Los Angeles for some commuters’ bonding time with the chosen cast on the way home. Jesse Parr plays Bo in Altar. Matt is a writer-producer-director, but he doesn’t necessarily think of himself in the limiting terms of a multi-hyphenate. He has produced seven feature films since 2010, writing and directing three of them. In 2012, he and business partner Keith Walker made national news after saving the Met Cinema movie theater in Oakhurst with a membership system called Movie Heroes. Sconce is now the Chief Creative Officer of Movie Heroes and Co-Owner of the Met Cinema. 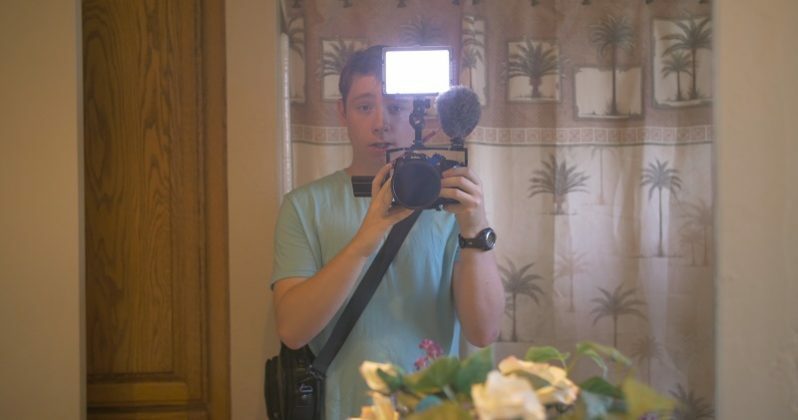 “I think of myself as a storyteller,” Matt notes. The most challenging aspect of the process, Matt says, is finding a story you want to tell and have confidence that you’ll feel good about over a long period of time. 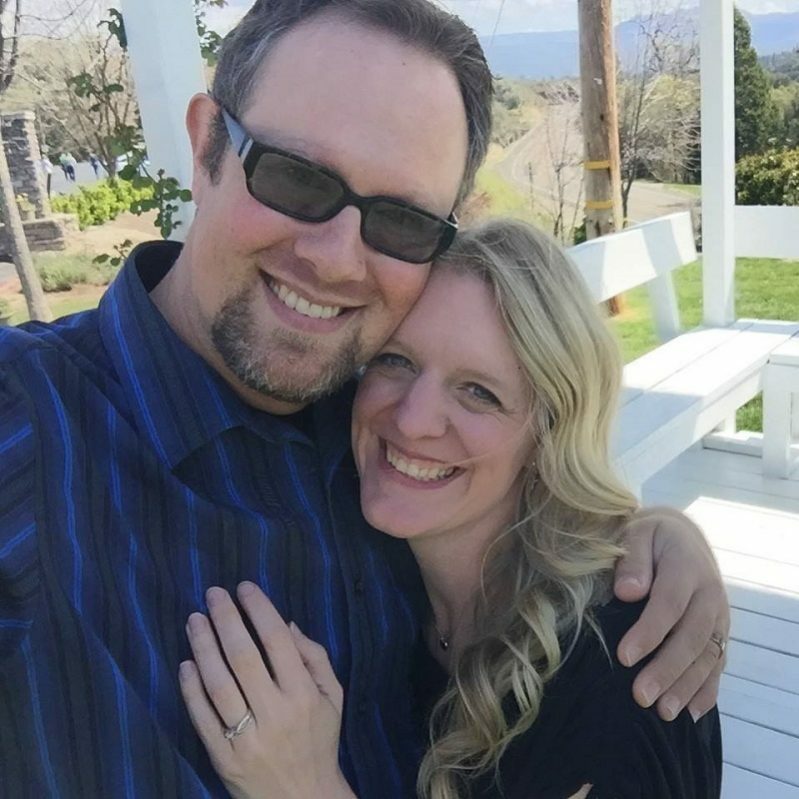 In real life, Matt is married to the equally talented and prolific Heather Sconce, who has now written her fifth dinner theater play. Son Kaden is six years old and daughter McKenzie, age 9, recently made a film called “Let Me In” about forgetting to let the dog in the house. Meanwhile, Matt says he’s excited about having Altar premiere now, because the outline was written four years ago, and then put it on a shelf. The story has existed for a while, he says, and it’s just nice to see it get out there. The premiere event is Saturday, May 13 from 5:30 to 9:30 p.m. at the Crest Theater, located at located at 1170 Broadway Street, in Fresno. 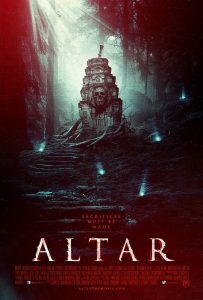 Altar has just finished a year-long festival run, garnering 21 awards on the festival circuit including Best Film, Best Director, Best Actress, Best Actor, Best Horror/Thriller, and Audience Choice Award. Audiences will experience the glamorous red carpet as though they were invited guests with the cast and crew, promises Matt. The evening is scheduled to include actors Stefanie Estes, Deep Rai, Brittany Falardeau, Jesse Parr, Tim Parrish, Jessica Strand, Gregory Tharpe, Kia Vassiliades, Soke Dave Johnson, Michael Wainwright, Cathy Wilcox and Patrick Nalty. Carolyn Devore did the casting in Oakhurst. Local band The Red Coats will be on-hand to entertain the crowd with live music. including a rendition of the signature soundtrack song from the movie, Demon Blues. Attendees will also have the opportunity to participate in an exclusive Q & A session with the film’s stars, followed by the full-length feature film premiere days before its official release. 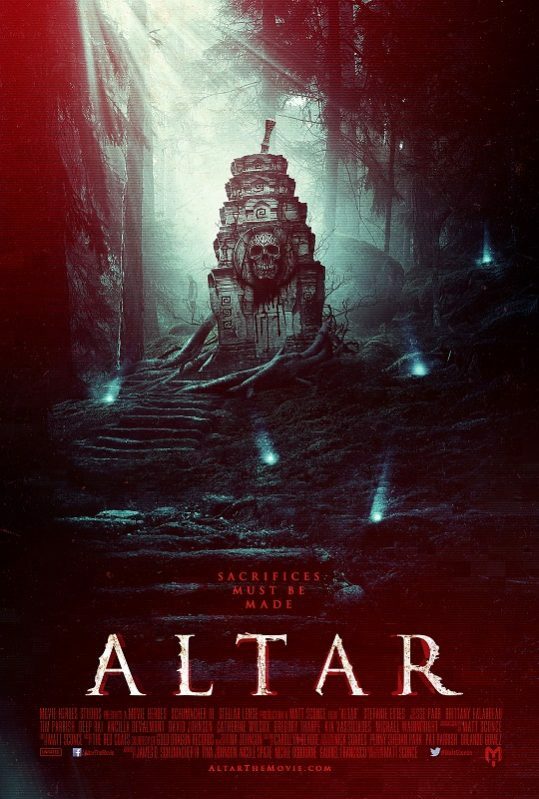 Following its date in Fresno, Altar will release at the Met Cinema on Friday, June 2 and stay for two weeks. On June 16 it will release around the world on VOD, Video on Demand.